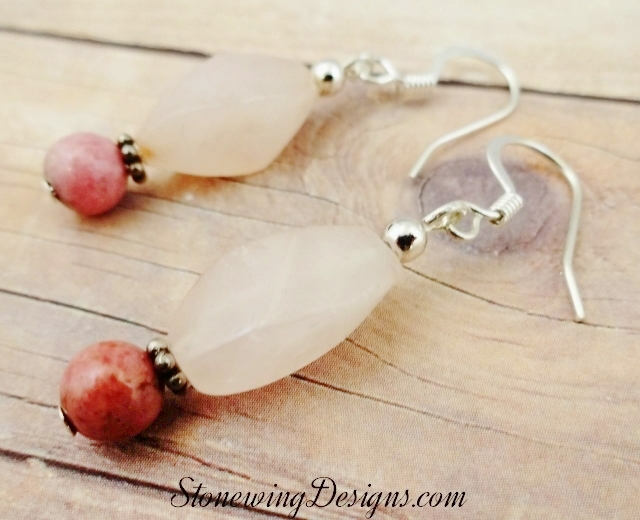 Rose Quartz and Rhodonite are a lovely combination in these earrings. Paired with silver surgical steel French hook ear wires, pewter daisy spacers and Sterling Silver 2.5mm beads, they are both elegant and feminine. Like a spring or summer pink, soft and pretty without being too pink. 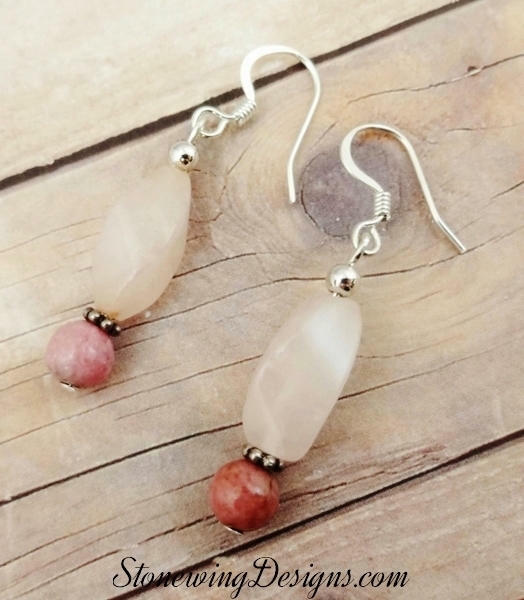 Rose Quartz and Rhodonite are both naturally pink. These stones are natural, not enhanced in any way. 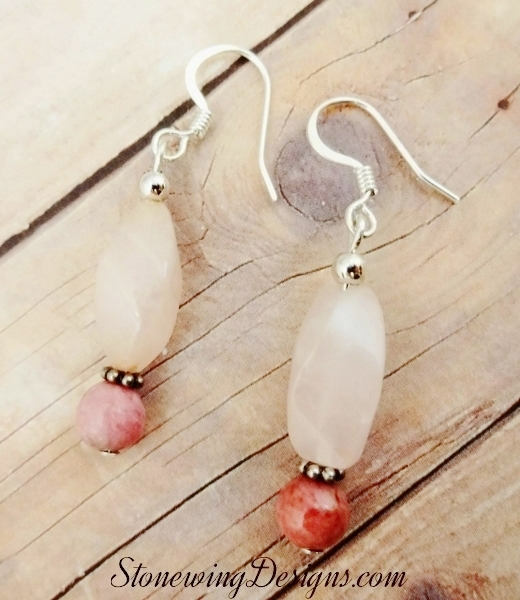 The total length of the earrings is about 1-3/4 inches. Message me if you'd rather have Sterling Silver or a different type of ear wire like Lever backs or posts.